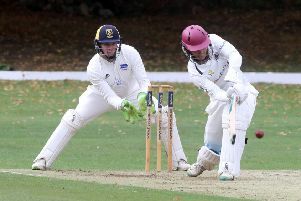 Ketton seek a Stamford Cup double tonight (JUly 20) when tackling Ufford Park in the final of the Stamford KO Shield at Market Deeping CC (6.15pm). Ketton will be warm favourites to win after crushing Jaidka Cup winners Bourne in the final of the Stamford Charity Cup last week (July 13). Ketton have lost just once in Twenty/20 cricket this summer, although it was in a final last week (July 15) when Uppingham skittled them for a paltry 56. Ufford will have to contain monster-hitting Ketton batsman Zeeshan Manzoor to have any chance of winning.